A propagation box, propagation chamber or propagator, is something that can be used for rooting plant cuttings. It works like a mini greenhouse that will protect plant cuttings and give them enough moisture so they can survive until they grow roots. 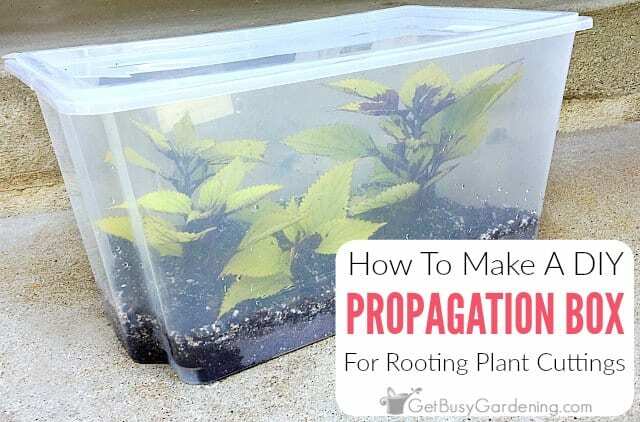 In this post, I will show you how to make a homemade propagator, and also how to use it for growing from cuttings. Some plants are easy to propagate by simply putting a stem cutting in water. But some types of cuttings will only rot if you try propagating them in water because they need a more controlled environment to grow roots. That’s where a propagation box comes in handy, and it makes cutting propagation much easier! There are many different types and styles of propagation boxes. Some are very fancy (and expensive) and others are not so fancy, but cheap (or free!). I made my own DIY plant propagation box with materials that I got for free, and it works great. Step 1: Prepare the propagation box – Find or purchase a clear plastic storage bin with a lid, and wash it with soap and water. It’s important that the bin is completely clear so that light can reach the cuttings. The size of the box doesn’t matter as much, but be sure to get one that’s large enough for your use. Think about what types of cuttings you plan to use it for, and get a box that’s tall enough for them. Step 2: Add the rooting medium – Add a 3-4 inch layer of medium, and spread it evenly over the bottom of the box. You can make your own DIY rooting medium using peat moss or coco coir, perlite or pumice, and vermiculite. If you want a ready-made rooting mix for cuttings, seed starting soil works great too. Don’t use regular potting soil though. It’s usually too heavy for use in a propagation box, and may cause your cuttings to rot. Step 3: Add water – Wet down the rooting mix with a light stream of water. Don’t pour or spray it in too fast, or the medium could make a mess. You want the rooting mix to be moist, but not soggy. If you added too much water to your propagation box, you can leave the lid off the box for a day or two to allow the excess water to evaporate before adding any cuttings. Now that you have your DIY propagation box all set up and ready to go, it’s time to add some plant cuttings! Here are the steps you should take to ensure success with rooting any type of cutting you want to propagate! Step 1: Add plant cuttings – Dip the stem of the cutting into rooting hormone before putting it into the box. Rooting hormone helps cuttings grow roots faster and more reliably. Make a hole in the medium with your finger (so the rooting hormone doesn’t rub off) and stick the cutting into the hole. Lightly press the medium around the base of the cutting to ensure it’s touching the stem, and that the cutting stays in place. Step 2: Put the lid on the box – If the storage bin you plan to use for your DIY plant propagator is air tight, add a few ventilation holes in the lid to help avoid mildew growth. Don’t drill very many holes though. Otherwise your propagation box could dry out too quickly, and your cuttings may not root. 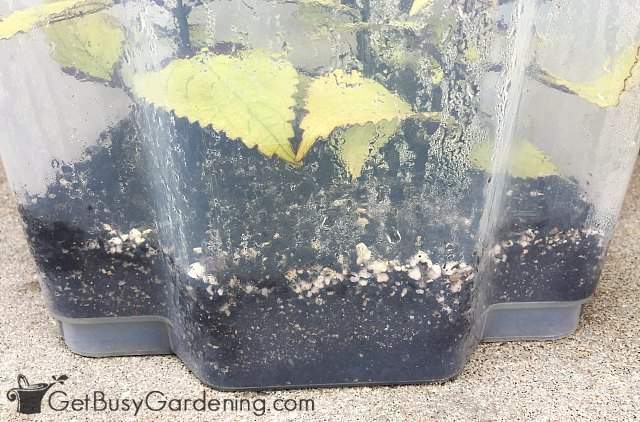 You may want to wait to add ventilation holes until you’ve used the cuttings box a few times to see how well it holds moisture. Step 3: Give it some light – Place your DIY propagator in a spot where it will get lots of light, but keep it out of direct sunlight. An area near a sunny window is the perfect spot inside the house. Outside it should be kept in the shade. If you don’t have a lot of light in your home, hang a grow light over the top of the box. I use a shop light fixture with plant grow bulbs in it, but you could use a grow light system to make it easier. 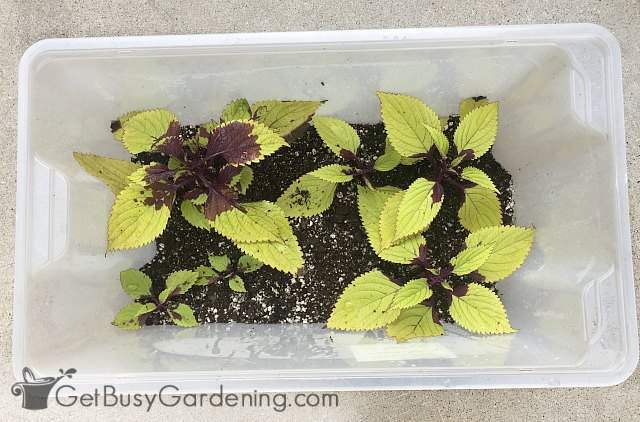 Plug them into an outlet timer to make it easy to give your cuttings the perfect amount of light every day. Step 4: Add bottom heat – Getting a soil thermometer to monitor the temperature of the medium is a good idea. Many types of cuttings won’t root it it’s too cold. 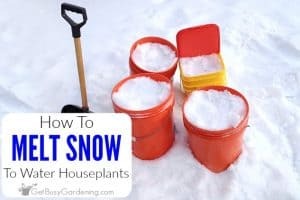 If that’s the case, then you should add bottom heat for rooting cuttings. Bottom heat really speeds up the rooting process. To make your own DIY heated propagator, you can place the box on a heat mat or near a heat vent in the winter (be careful if it’s near a vent, because the heat will cause the soil in your propagation box to dry out faster). Check on your cuttings every few days to see if there are any new plant roots, and to monitor the moisture of the medium. The rooting medium should never be soggy or completely dried out. It’s best to keep the medium consistently moist. I recommend getting yourself an inexpensive soil moisture gauge to help you monitor the moisture of the medium. You can add water by slowly pouring it down the inside of the box, or mist it using a spray bottle. There are many different types of plants that are easy to root using a homemade propagation chamber. 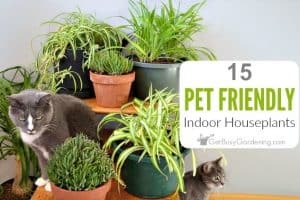 I mainly use mine for propagating houseplants, but you could use it for rooting perennials, herbs or annual cuttings too. I use my propagation box for everything except for succulents. The box is too humid for succulent cuttings, and they will only rot. Learn how to propagate succulents here. If you’re really serious about cutting propagation, then you may be interested in building a larger system like I did. First I built several homemade heated propagators, and then put them into my mini greenhouse. My small propagation greenhouse is set up near a south facing window in the spare bedroom. 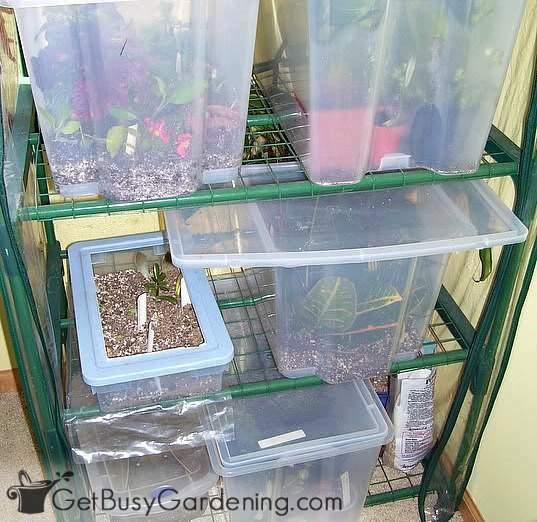 It’s the perfect setup for growing as many cuttings as I want, and it’s fun to experiment with various types of plants. Whenever I prune a plant or a piece breaks off, I’ll put the cuttings into one of my propagation boxes. I check the boxes every few days to see if there are any new roots, and to monitor the moisture level of the medium. Maybe this all sounds like way too much trouble to you, and you just want to buy a ready-made system. Well you’re in luck, because there are lots of options out there. Plant propagation trays or flats can usually be found at any garden center in the same section where they sell seed starting equipment. But you’ll find more variety, and even some elaborate plant propagation kit options online. You can buy a simple propagation dome if that’s all you need. Or you could get a full system, like this large heated propagator kit, or a heated propagation tray with a grow light. 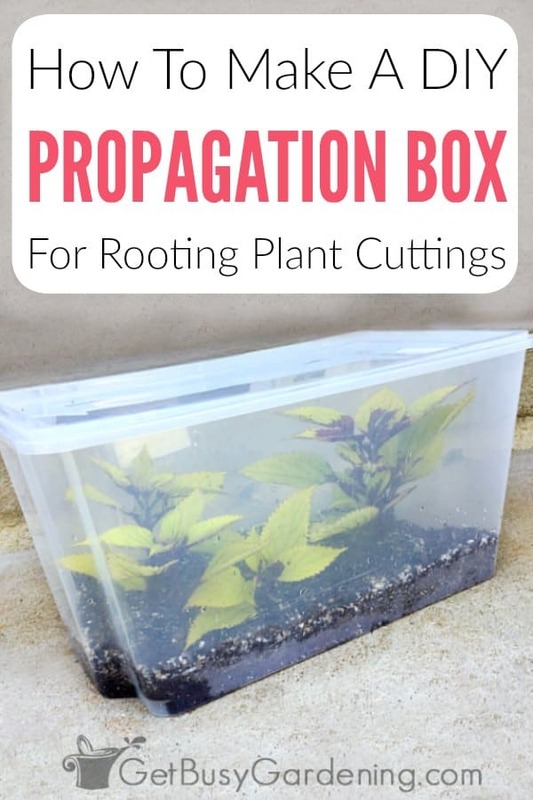 If you’re serious about growing from cuttings, then you definitely need a propagation box. It’s super easy to make your own propagator, or you can buy one instead. Either way, it’s fun to experiment with rooting all of your favorite plants to see how many you can grow from cuttings. Want to learn how to propagate all of your favorite plants? Then you will love my Plant Propagation eBook! 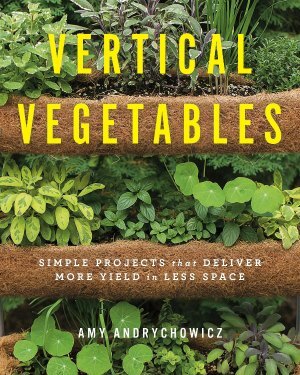 It has everything you need to know to get started propagating any plant that you want. Download your copy today! Share your DIY propagation chamber plans, or add your tips for using a propagation box in the comments section below. what about a wooden box for outside propagation ? any suggestions for this ? Plants are very easy to propagate outside during the summer. You could cover the wooden box with plastic to help speed up the process on plants that are harder to propagate (don't allow the plastic to touch the plant). If you do this, keep it out of the sun. Once you start to see new growth or signs of roots in your propagation box, you can take the plastic cover off. A friend told me the other day that she uses Cinnamon for a rooting hormone. Will this work? She said she uses it all the time. I have heard of that before too, but haven’t tried it. My understanding is that cinnamon doesn’t actually work as a hormone to stimulate root growth, but it helps with propagation success because it is has anti-bacterial qualities. Rooting hormone powder actually contains a hormone that stimulates root growth, as well as anti-bacterial qualities. It would be interesting to experiment and test to see the difference between using the two. Awesome, glad you found it helpful! You are very welcome! 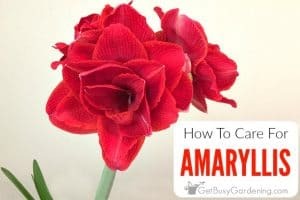 As always, another excellent guide from you Amy. Thanks for sharing this. 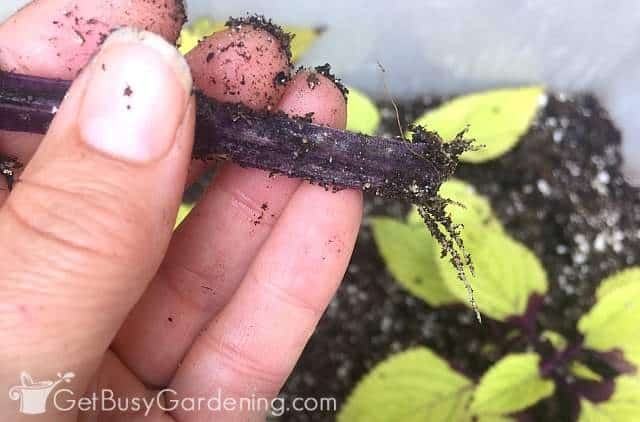 This is my go-to resource for remembering how to propagate seedlings in a propagation box and it’s been used to get numerous free blueberry, currant, and blackberry bushes from propagating cuttings from other folks gardens. Thanks so much for the awesome information, I’ve bookmarked this article and referred back to it a number of times. Wonderful, so happy to hear that you’ve been able to use your DIY propagation box to grow so many wonderful cuttings! 🙂 Thanks for sharing! Hi Respected AMY Madam. 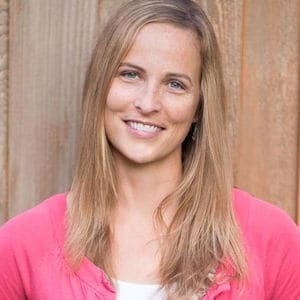 Thanks a lot for your nice and innovative tips. But please tell me how many days are required for rooting of cutting by using homemade propagator. 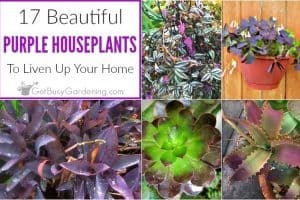 It depends on the type of cuttings you’re rooting. Some types of plants will root in a week or less in the propagation box, while others can take several days or weeks.